Harry Potter Merchandise - Chocolate Frogs, anyone? Sea World Merchandise - Shamu Store! Holiday World Merchandise - Pat Koch Signed Books! Knoebels Ride Tickets! - A great stocking stuffer! RollerCoaster Tycoon 2 - Download for $3! 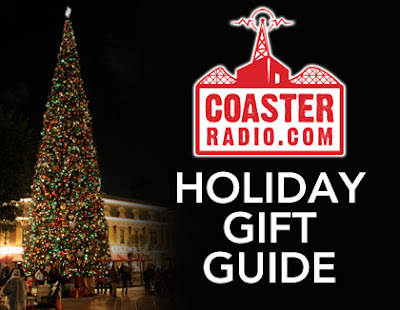 CoasterRadio.com #707 -Thanks for Nothing! CoasterRadio.com #706 - What Would You Do? Interactive Question - What Would You Do? CoasterRadio.com #705 - Holy Crap, Star Wars!